North Korea is known as one of the world’s most totalitarian, closed-off nations, with a claim to fame consisting of shoddy missiles, nuclear weapons of questionable yield, and a starving population. But despite its general malaise, the Hermit Kingdom exports things of some value for foreign currency. There are both legitimate and illegitimate items North Korea sells abroad. When we think of China’s largest foreign source of coal, we do not think of North Korea. However, that’s exactly what North Korea recently became. Coupled with an overall fall in China’s coal imports from other nations, shipments from North Korea jumped 25 percent to a total of 1.8 million tons of coal in May 2015. Exporting natural resources is an easy way to earn foreign currency for the Kim regime, without the structural and institutional reforms required to deregulate the broader, “official” economy. In other words, exporting coal allows North Korea to earn money without making hard choices and loosening its totalitarian hold over its population. And while coal mining in the first world requires complex heavy machinery, in North Korea, where human life is cheap, many things are still done by hand. 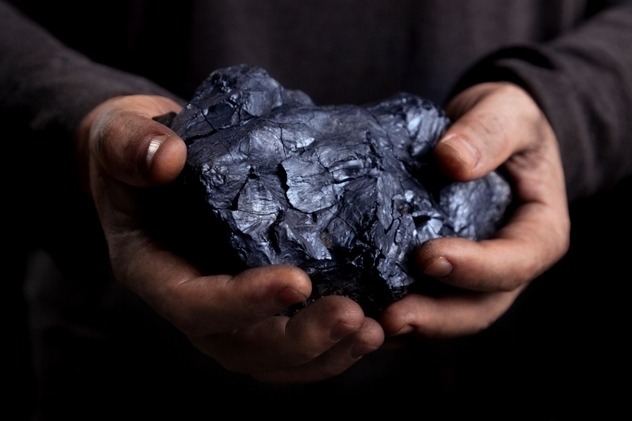 Another advantage is that while North Korea has been slapped with UN sanctions, the export of natural resources has not been sanctioned, so the country can make money from coal exports legally. North Korea is well known for firing ballistic missiles in provocative ways, usually accompanied by bombastic rhetoric about raining fire down on the evil capitalists. However, North Korea’s ballistic missiles serve another, more immediate function to the regime, with ballistic missile exports netting North Korea tens of millions of dollars annually. 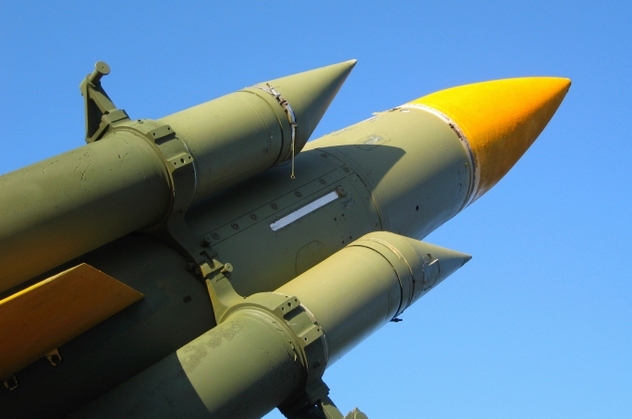 Exports of ballistic missiles not only earn the regime cash, they also make it easier for North Korea to continue producing missiles for domestic use due to economies of scale. However, North Korea appears to have shot itself in the foot. Instead of exporting just the missiles themselves, it was also willing to export manufacturing equipment and technical knowledge to other countries, including Pakistan and Iran. This means that their customers will eventually rely less on North Korea, reducing sales over the long term. Another issue for North Korea is that its customers have been at peace, so they have not been using their ballistic missiles and do not need to buy more. Maybe North Korea should have slapped an expiration date on those rockets? North Korea is one of the most militarized nations in the world, with over one million men under arms. Those men have to be equipped with weapons. 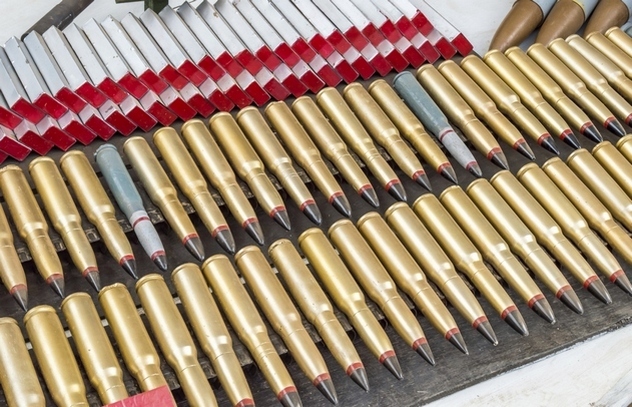 North Korea’s extensive domestic arms industry is another way to earn foreign currency for the cash-strapped nation, with exports of heavy weaponry including rocket launchers and surface-to-air missiles. But North Korea goes even further than this, sometimes offering to help build arms factories for clients for quick cash at the expense of long-term profits. Or does it? For almost 30 years, North Korea has been involved in two Ethiopian arms factories, supplying industrial equipment and providing expertise to keep the factories running. We would think that after building the factory, the Ethiopians would no longer need to keep the North Koreans around, but it turns out that the Ethiopians do not have the scientific or engineering knowledge to run the facility themselves. And given that the factory was designed by North Korea, only North Korea can provide spare parts for its industrial machinery, forcing Ethiopia to continue to rely on it. North Korea has also built other facilities in other African countries, such as Nigeria and Madagascar, which presumably also rely on North Korean spare parts. And given North Korea’s attempts to hide its illegal activities, there are likely more such facilities that have not come to light. It turns out the Stalinist North Koreans have a keen nose for capitalism that would make Henry Ford proud. 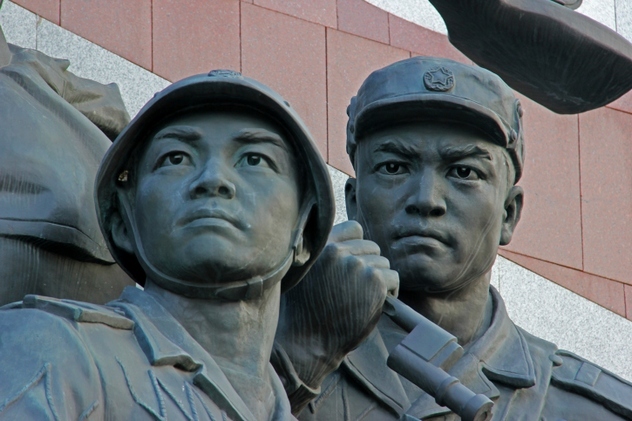 There are plenty of statues in North Korea, courtesy of state funds funneled into propaganda. North Korea has gotten so good at building statues that they have become something of an export for the Hermit Kingdom, with Zimbabwe recently taking delivery of two statues of Zimbabwean President Robert Mugabe for $5 million. North Korea has completed other projects for countries including Angola, Egypt, Equatorial Guinea, Ethiopia, and even Germany. The art projects are produced at the Mansudae Art Studio, a massive factory employing 4,000 North Koreans, including 1,000 artists. Zimbabwe isn’t the biggest customer North Korea has had, however. In the early 2000s, North Korea was contracted by Namibia to build a gigantic war memorial in the capital of Windhoek for $60 million. North Korea was also contracted to build the Namibian New State House, the equivalent of the US Capitol, and construction was completed in 2008. North Korea’s most impressive work, however, is to be found in Senegal, where Mansudae constructed the African Renaissance Monument, a massive bronze statue standing at 50 meters (160 ft), commemorating Senegal’s 50th independence anniversary. 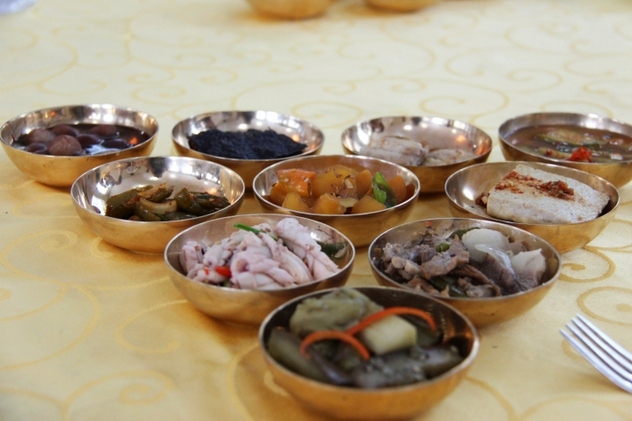 It may surprise you that one can find restaurants serving “authentic North Korean” food scattered throughout Asia, complete with top-notch entertainment that involves traditional dancing to a mix of North Korean songs and Western pop. And it’s not just a handful of restaurants. Since the 1990s, North Korea has run a whole chain of eateries known as Pyongyang Restaurants, and there are estimated to be up to 100 branches across Asia. The restaurants serve three purposes: They raise money for the regime, finance the North Korean embassy in the country they operate in, and launder money from the regime’s illegal activities. And if one digs deeper, one finds that the staff are not free to leave and go, as their families back in North Korea will suffer if they do. The waitresses are watching each other for signs of disloyalty, the chef is watching the waitresses, and someone is watching the chef. The North Korean–Chinese border is a hotbed of economic activity. It’s estimated that up to a quarter of Dandong’s residents do business that involves North Korea. 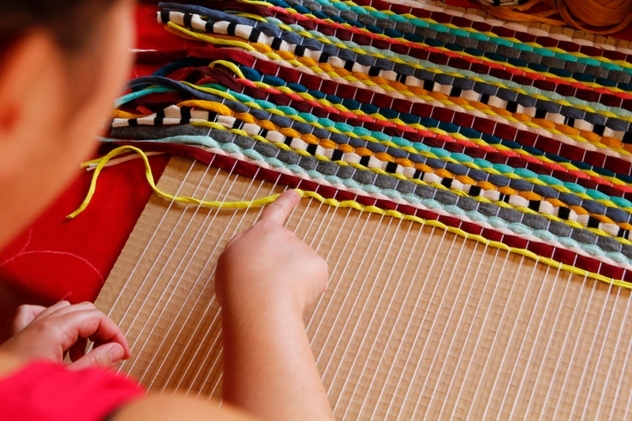 One example of such economic activity are textile factories run and staffed by North Koreans. Exported under “Made in China” labels, it is impossible to tell that the clothes manufactured in such places come from North Korea. Export of textiles from North Korea is nothing new, with a Dutch company first importing shirts from the country back in the 1970s. Although textile exports fell in the 1990s, they have picked up again, and firms in the Netherlands and Germany have experience in dealing with North Korea. One attraction to manufacturing in North Korea is that labor costs are some of the cheapest in Asia, while the workforce is skilled and experienced. Minimum wage is set at $80 a month, making garment production 30 percent cheaper than in China. If North Korea has to be ranked number one in the world in something besides totalitarianism and insanity, it would be the manufacture of counterfeit banknotes. The US Secret Service occasionally claims that North Korean–manufactured counterfeit $100 bills, also known as “supernotes,” are the most sophisticated fake money in the world. This is not surprising, considering the lengths North Korea went to in manufacturing them, using machinery from Japan, paper from Hong Kong, and ink from France. North Korean counterfeit money is so good that the US government introduced a new $100 bill in 2013, with new security features specifically designed to counter North Korean counterfeiting. And those new features are very much needed. Supernotes are printed on the same type of cotton-and-linen paper as the US banknotes, using the same type of Swiss-manufactured printing press, and using a very similar type of ink. Originally, the North Koreans collected $1 banknotes to bleach and reprint, but they later learned how to manufacture the paper from scratch. If North Korea has anything in abundance, it’s people. And how can this commodity be monetized? By sending them overseas to work and send their earnings back to North Korea, holding their families hostage to ensure compliance. Over 50,000 North Korean laborers toil overseas for the regime, sending back remittances totaling nearly $2 billion a year. The laborers work in terrible conditions for long hours and are lucky to see even 10 percent of their paycheck. North Korean laborers can be found in more than 40 different countries in the Middle East, Africa, and even Europe—but mostly in China and Russia, with 20,000 and 19,000 workers, respectively. 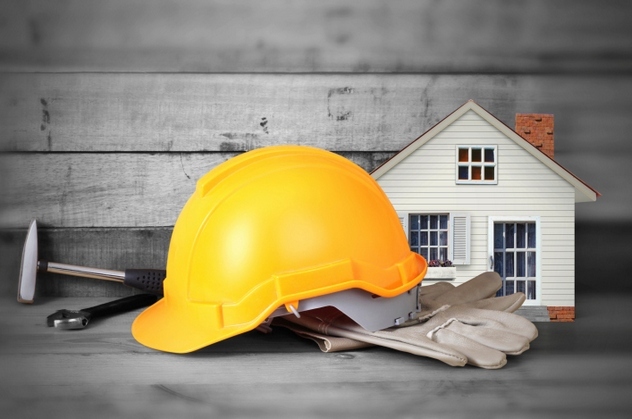 Most are employed in industries requiring hard physical labor, like construction. And with the United Nations cracking down on other North Korean cash flows, the country has been increasing the number of laborers sent overseas to make up for the shortfall in cash it earns from other activities. 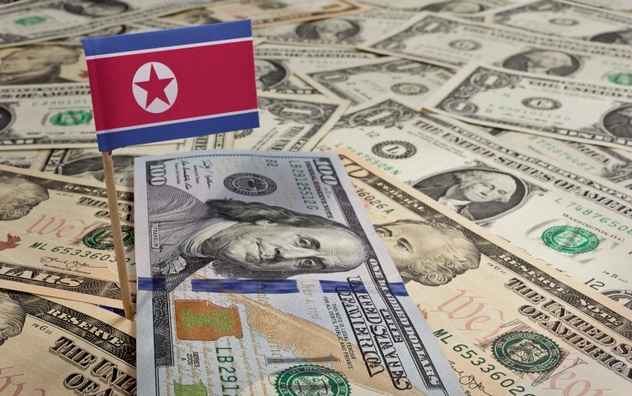 North Korea has been involved in the drug trade since the 1970s, when it defaulted on its international debts and ordered its embassies to self-fund. One of the ways the embassies initially accomplished this was to traffic drugs using diplomatic immunity. Later, North Korea started manufacturing illicit drugs of its own—primarily methamphetamine—and exporting some of them through its embassies. 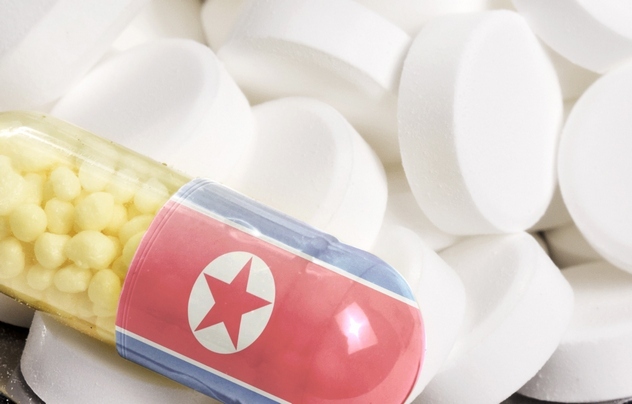 North Korean methamphetamine gained notoriety primarily for its high purity (99 percent), which is not surprising considering the drugs were manufactured in state-owned factories under the supervision of professional chemists. However, since the mid-2000s, illicit drug activity appears to have been “privatized,” with the state apparently taking a smaller role in manufacturing, transportation, and distribution of methamphetamine. The purity has decreased dramatically, indicating that production may no longer be taking place in state-owned factories. However, methamphetamine is still plentiful in North Korea itself, where it is reported that meth is offered “as casually as tea.” In a country where food is scarce and famine stalks the land, the appetite-suppressing properties of methamphetamines are very useful. Probably the most audacious North Korean export has been an attempt to build a fully functioning nuclear reactor for Syria at Al-Kibar, which Israel bombed in 2007. North Korea patterned the reactor on its own gas-graphite one. As this type of reactor is not very complex, North Korea could have and probably did supply most of the parts itself. The North Koreans apparently modeled the building almost exactly on the Yongbyon reactor, later constructing outer walls to hide the shape of the facility, turning it into a featureless box. 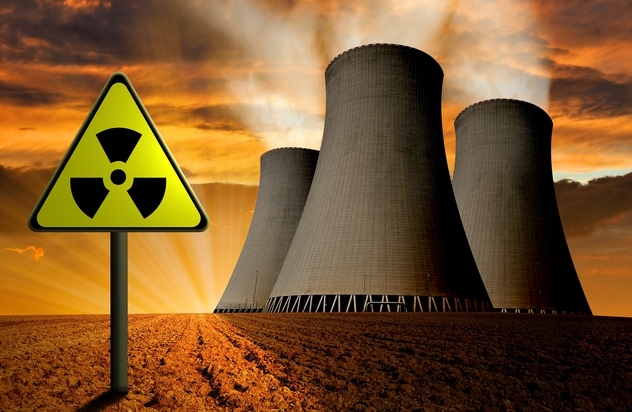 If the reactor had not been bombed, it could have produced enough plutonium for one or two weapons per year once it was operational. Just three days before the reactor was bombed, a North Korean ship was caught delivering nuclear fuel rods, most likely destined for the reactor. And the whole thing ended up netting up to $2 billion for North Korea, with the money coming from Iran. Mark Chen is an Internet aficionado primarily interested in current and recent conflicts occurring across the globe, with a dash of economics and technology thrown in for good measure.